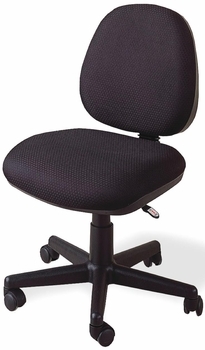 This lovely office task chair will add both style and comfort to your home office or study area. The plush chair back and seat are covered in soft black fabric for comfortable seating. An adjustable height gas lift allows you to customize the fit, with casters below the base for easy mobility. 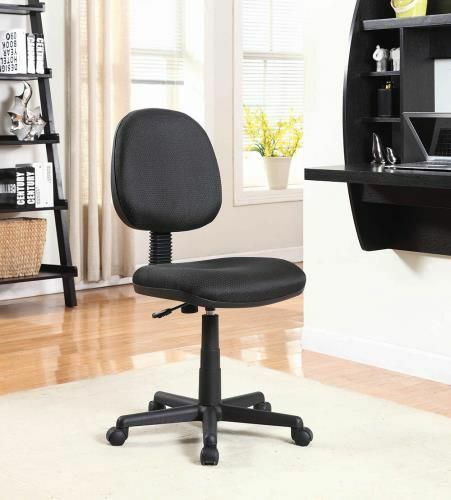 Create a warm and stylish home office or homework area with this casual contemporary office task chair.